Tag Archives for " Google Plus Creative Kit "
Google+ added three new features this week that, while not earth shattering, offer some additional functionality for the reported 40 million or so users of the network. What’s Hot – this is a pretty simple add and allows users to see what public posts are getting the most shares, comments and +1s. It’s the answer to Twitter’s Trending Tweets in a way. Expect popular posts to get even more popular once everyone has access to them. 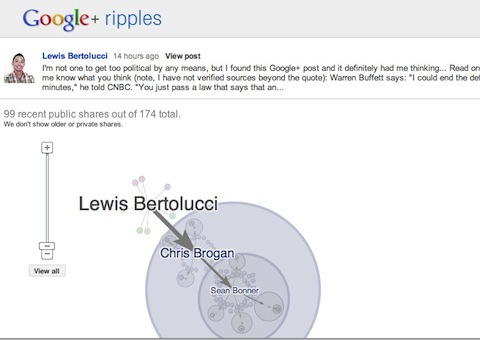 Once you do this you’ll be treated to a mind map kind of view of all of the shares, comments and spokes of conversation. Google Apps customers can now use Google+ – Google Apps users can now create Google+ logins, but wonder how many people already created G+ accounts with personal emails first.